Many people are drawn to Naples as a respite from the chilly northern winters. Perhaps it starts as a week-long vacation filled with our white sand beaches and green golf courses. The next year you plan a month long trip and discover more about what Naples has to offer: the dining, the shopping, the culture. Over the years you find yourself coming back to Florida, looking for a permanent home in paradise. Eventually your dream comes true, you’ve found the perfect Naples home. Unfortunately, you’re not the only one who considers Naples the perfect place to be. Cockroaches are just as attracted to the weather as you are. When you move to Naples make no mistake, cockroach control will be a necessity, it’s not optional. We’ll be honest with you. 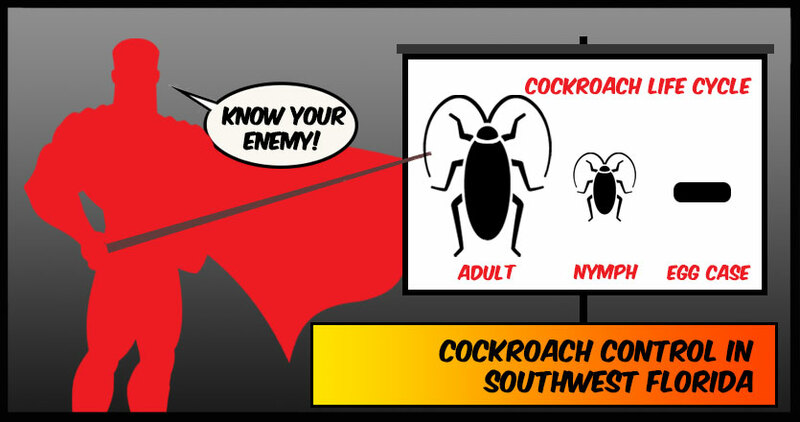 If you live in Southwest Florida cockroach removal is always an ongoing battle. A Pest Control Service can eliminate the current infestation, but there is very little stopping the next wave from heading to your doorstep. Roach-proofing your home is no guarantee that you will be roach-free, but there are some things you can do to fight back and keep them away for as long as possible. Search your home for any entrance opportunities that cockroaches are taking advantage of, and seal them up. Look for cracks in the foundation, air ducts, holes drilled by cable installation. Gear up with a caulk gun and go on the hunt for those cracks, crannies, and corners. Don’t make the mistake of thinking a crack is too small for a cockroach, just seal every one you see. You will never be able to starve a cockroach, as they will eat almost anything. However, don’t leave food on the counters and keep everything sealed, as cockroaches are known to spread salmonella. Clean up spills. One thing they do need is water, so check for any leaks in your water pipes and don’t leave any standing liquids out overnight. As we experience our annual Florida winter and some evenings may have a bit of a nip to them, you may see more cockroaches in your home than usual. This is because they will move indoors in cold weather. Now would be a great time to sweep your home for cockroach entry opportunities. Who can resist a great garage sale? However, be sure that when you bring home that perfect find there are no unwanted guests hitching a ride. Inspect any items you bring into your home. Cockroaches are notorious for leaving their eggs in the crevices of cardboard moving boxes. No matter how determined you are in the fight to keep cockroaches from entering your home, it is often just a matter of time before you begin to see the tell-tale signs. If you see cockroach droppings, egg cases, and experience a nighttime fright when you turn on the light as one skitters into a dark corner, it’s time to call in the pest control professionals. The best cockroach control companies will offer a free inspection to determine if you have a cockroach infestation. 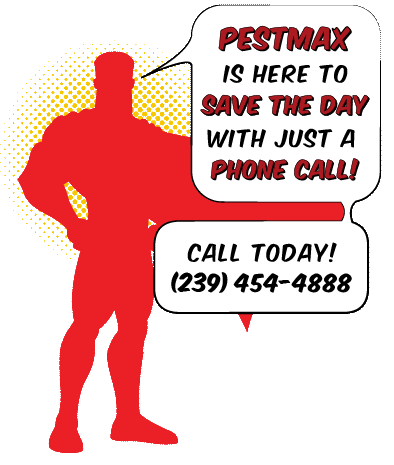 PestMax® not only provides free inspections, we also provide our PestMax® MaxPeace Guarantee. We know that in some situations a pest infiltration may reappear (this is a serious issue if you live in an apartment complex) and if they do, PestMax® is here to rapidly respond to any incursion and regain control. Visit our Cockroach Control Page to learn more about our pricing and methods to end the cockroach infestation fast.